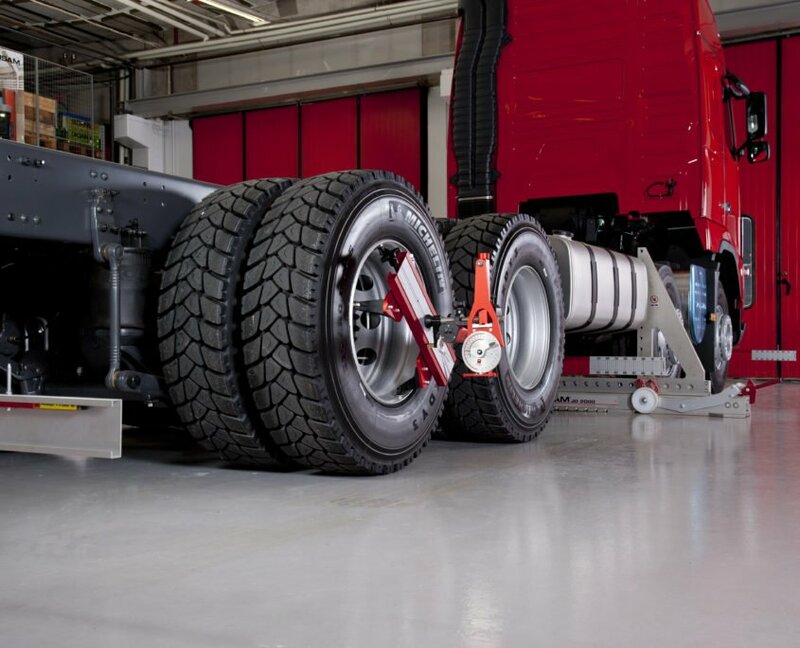 The JOSAM laser AM system stands for precise wheel, axle and frame alignment at a relatively low investment. 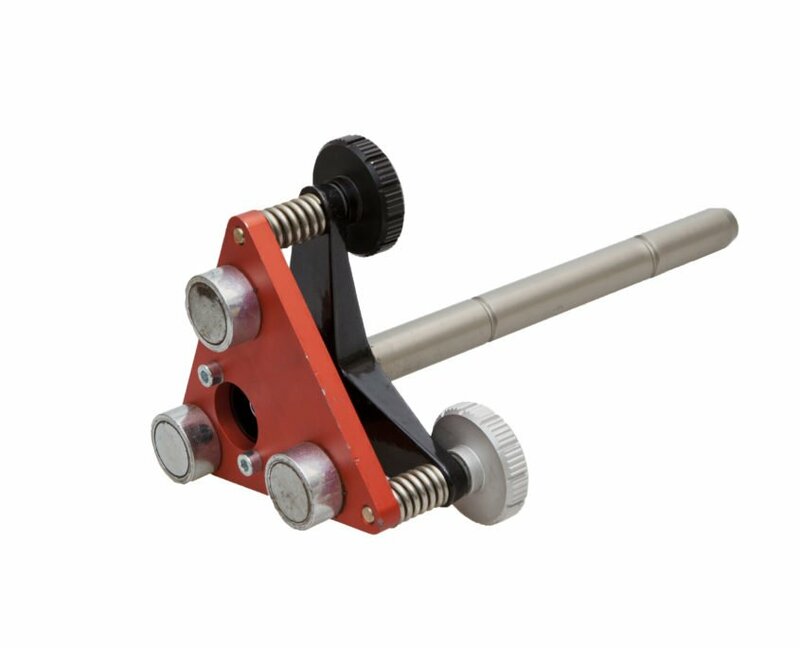 This reliable equipment can measure the wheel angles of trucks, coaches, semi-trailers, full-trailers, mobile cranes and other heavy vehicles. 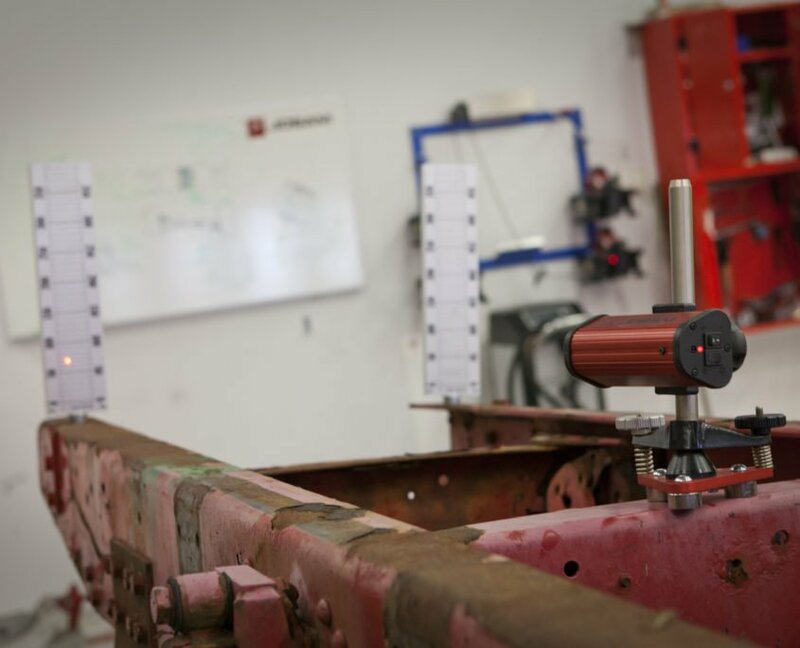 This reliable equipment can measure the wheel angles of trucks, coaches, semi-trailers, full-trailers, mobile cranes and other heavy vehicles and also check the vehicle’s chassis or other frame constructions in a simple way. Scroll through the images using the arrows or click on them to expand for a better view. 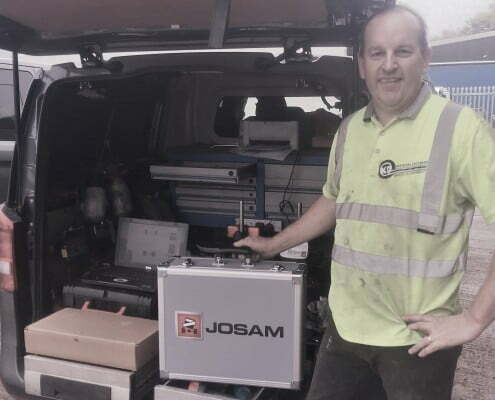 The JOSAM laser AM system has been the industry standard for 0ver 40 years. 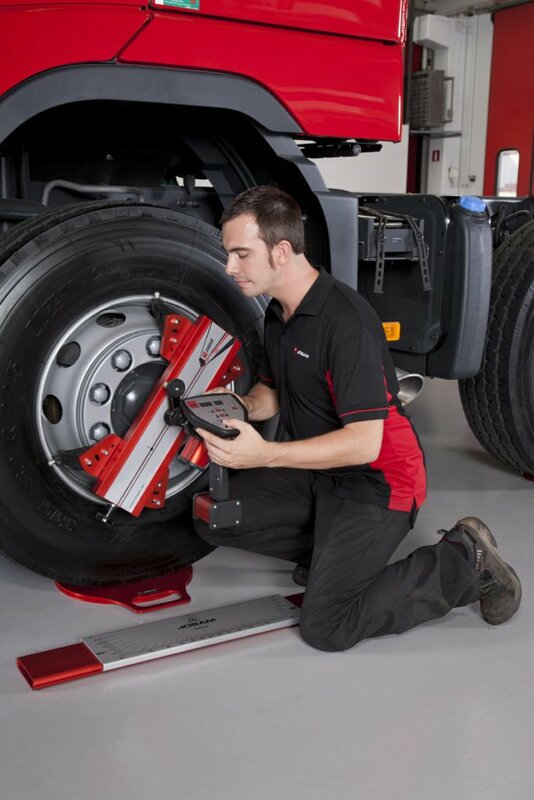 It stands for precise wheel, axle and frame alignment at a relatively low investment. 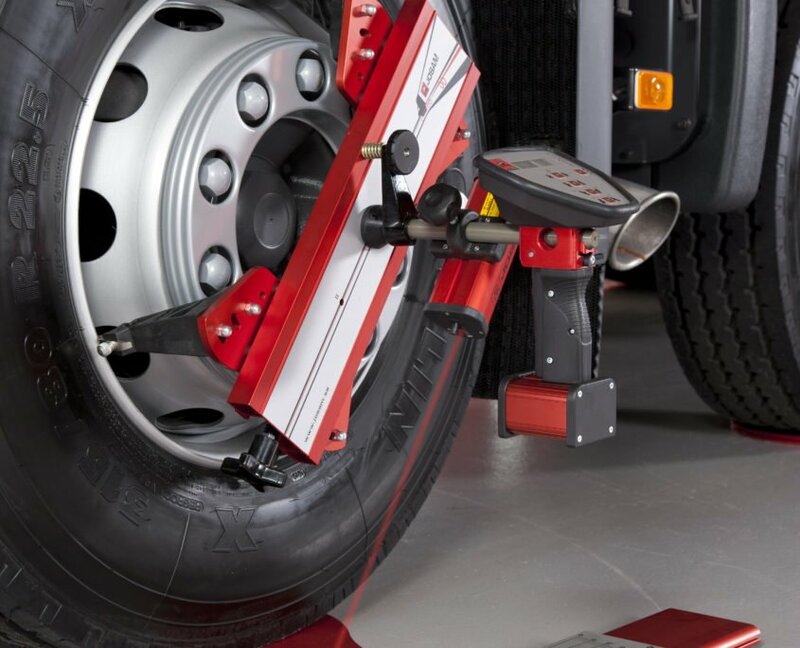 This reliable equipment can measure the wheel angles of trucks, coaches, semi-trailers, full-trailers, mobile cranes and light commercial vehicles, and also check the vehicle’s chassis or other frame constructions in a simple way. The system is based upon laser technology and uses the geometric centerline as its reference. 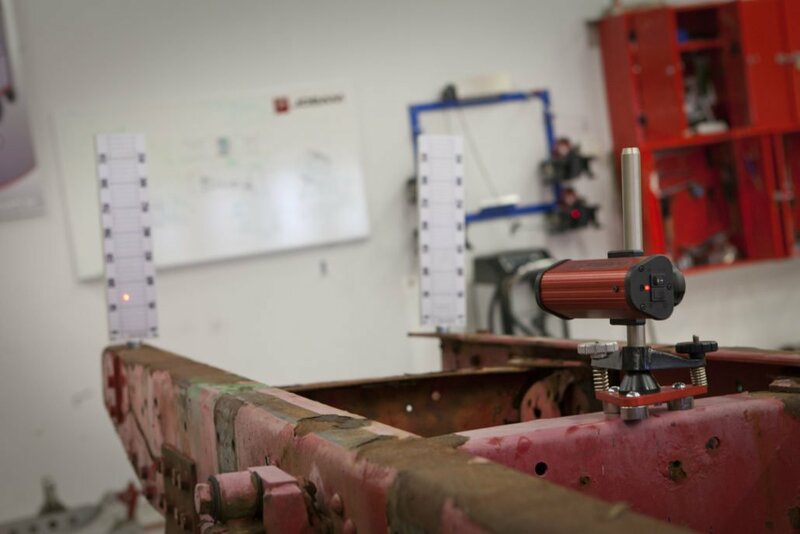 Measuring scales are moved out from the centerline and are targeted by a laser projector which in turn is mounted on a wheel adapter on each side of the axle which is measured. 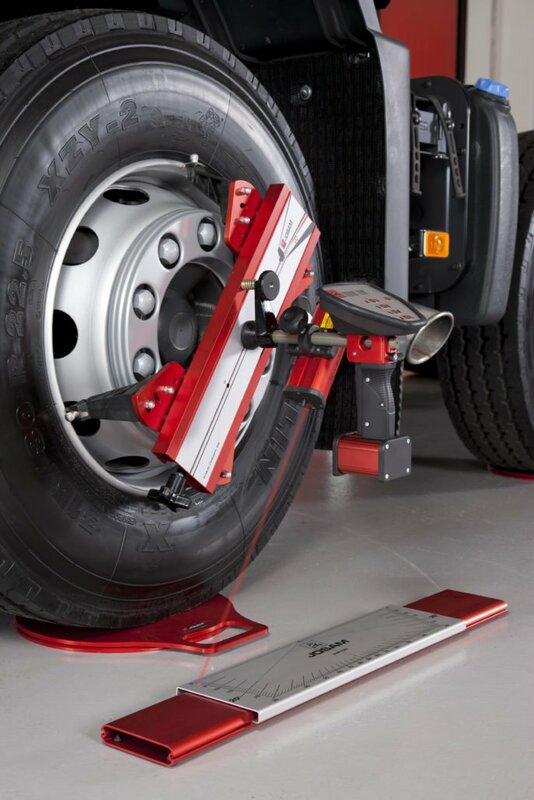 Our most basic “laser AM” system for toe and out of square measurement can of course be expanded into a sophisticated system which can measure all wheel angles. 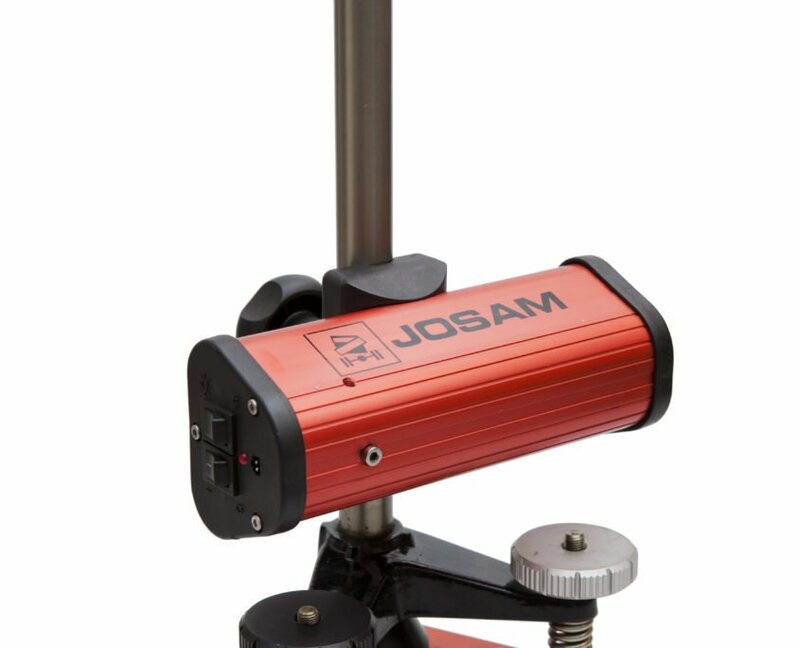 Contact us for a a price on the Josam Laser AM. 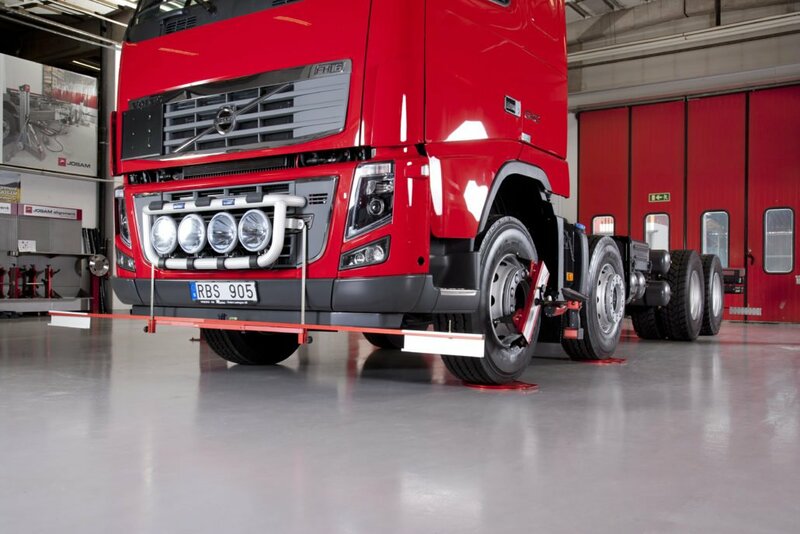 For further information feel free to download our brochures. 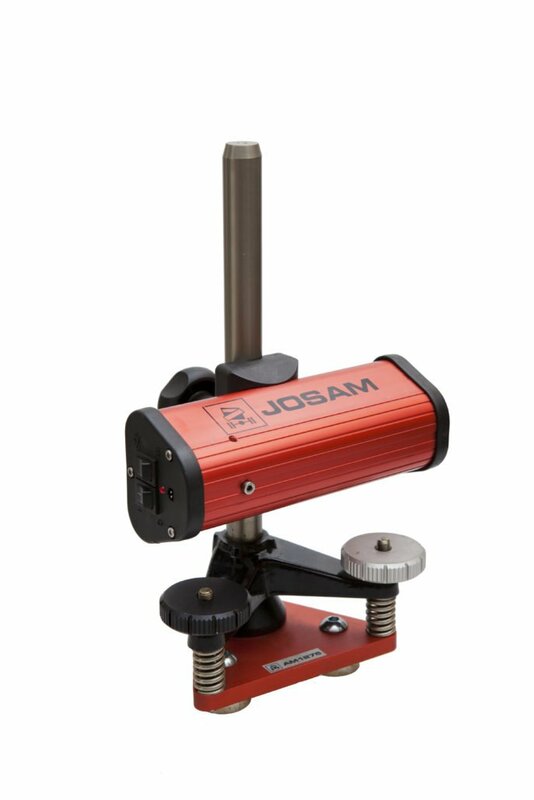 Download the Josam Laser AM user guide and manual. 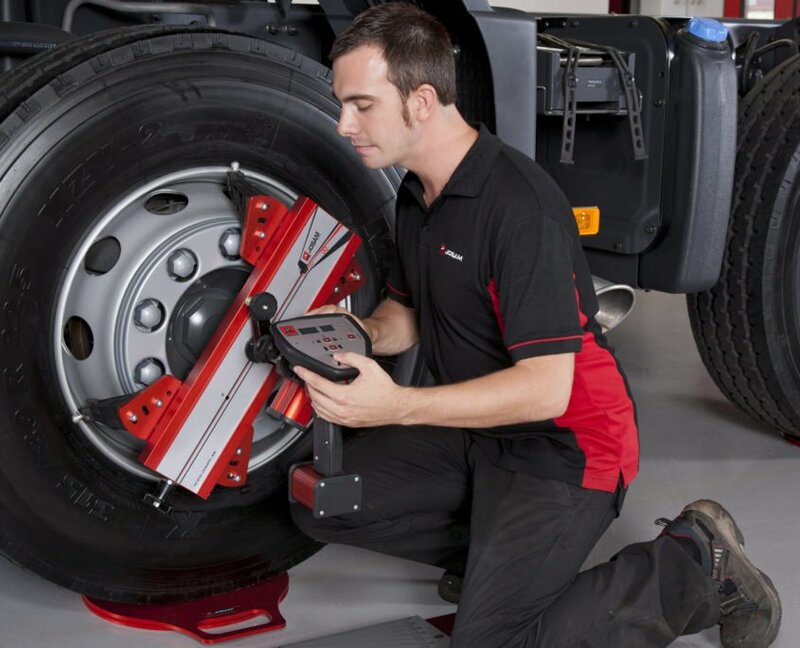 Our aftersales support encompasses an array of services that are catered to your business. 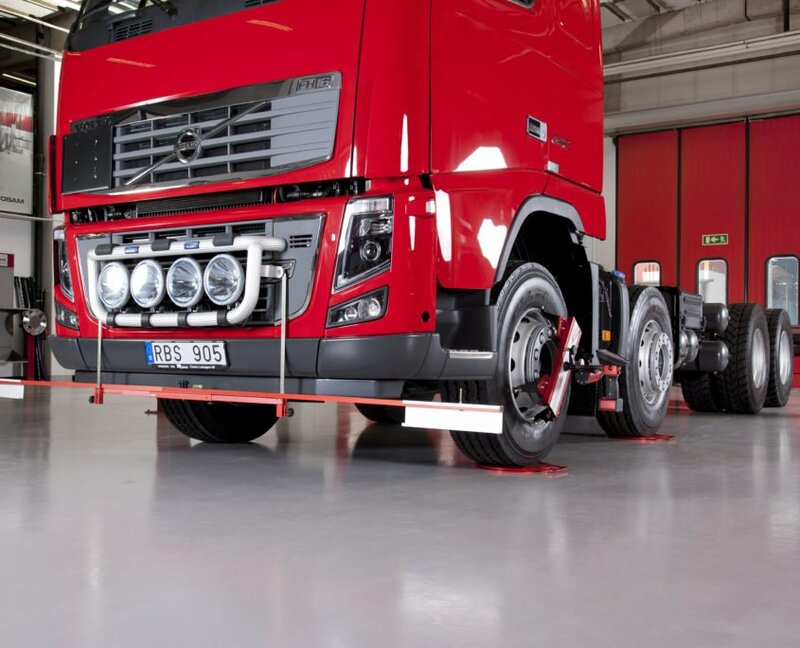 It is designed to assist you and your business in using our equipment correctly and ensuring the equipment is operating optimally. 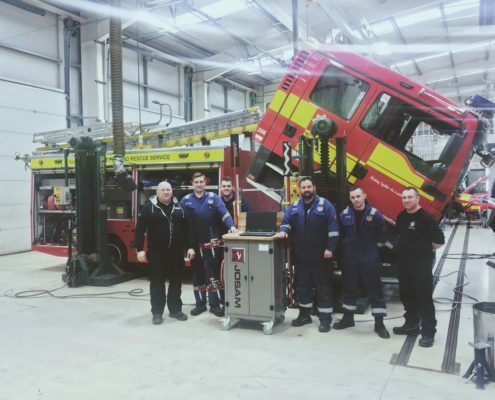 view our aftersales support pages here: training, equipment servicing and equipment calibration.